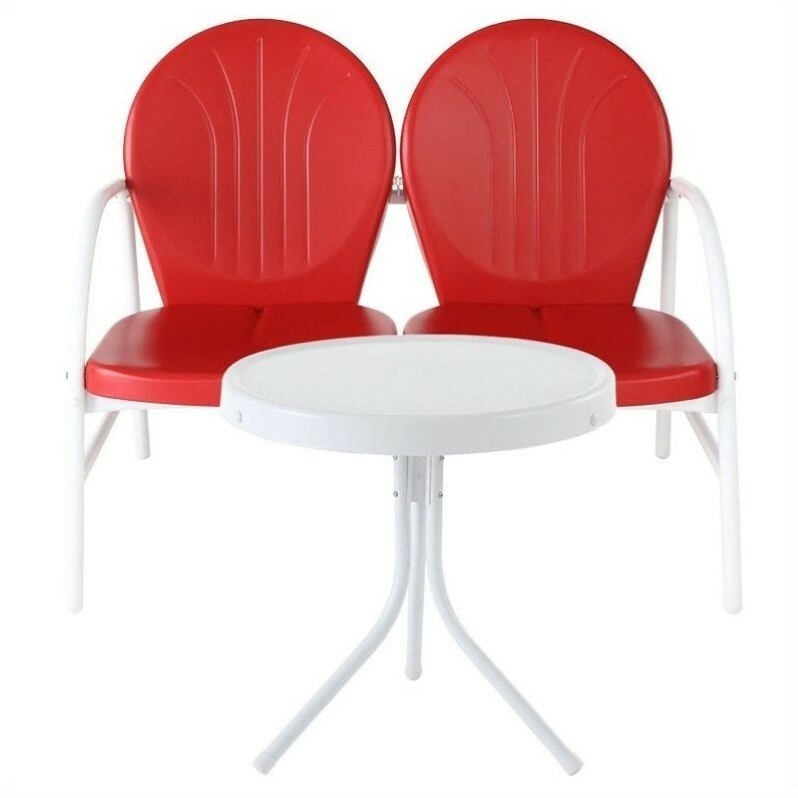 Relax outside for hours on our nostalgically inspired Griffith metal outdoor furniture. Kick back while you reminisce in this seating set, designed to withstand the hottest of summer days and other harsh conditions. The furniture’s non-toxic, powder-coated finish is available in various colors to complement your outdoor accessories.